Glistening gold detailing reflects across the vintage inspired Hopper mirror from Robert Langford. Partitioning across the glass emulates the style of a window. Distressed detailing within the mirrored surface creates an on trend industrial feel. Place in a narrow hallway for added depth and spatial illusion. Add the Budapest mirror to a living room to reflect light to all angles. The Hopper also comes in Iron finish - embrace the popular trend of the moment and add the industrial inspired Hopper mirror to your interior. 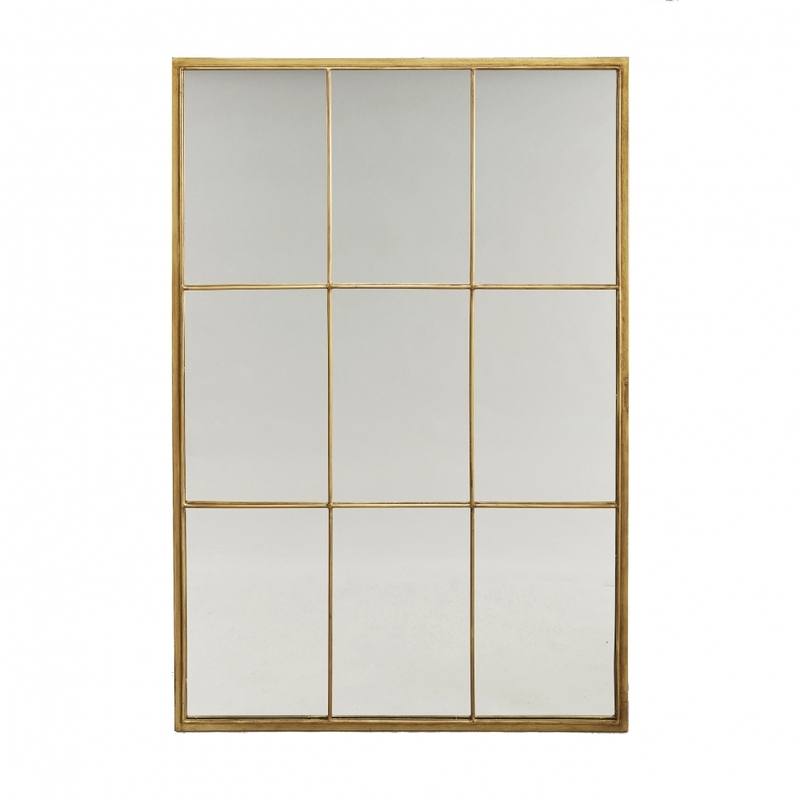 The Hopper mirror includes partitioned detailing to emulate the style of a window. Place in a narrow hallway for added depth and spatial illusion. Alternatively add the Budapest mirror to a living room to reflect light to all angles. A simple but effective home accessory the Hopper mirror suits any interior whether traditional or contemporary.